I wanted to make today special for my students. I have very poignant memories of September 11 and I felt it important to help my students understand everyday heroes, patriotism, and unity. Yesterday I told them that today would be a very special day, Patriot Day. They came to school wearing red, white, and blue, and I loved seeing their patriotic awareness increase over the day! Allow me to share a picture or two. 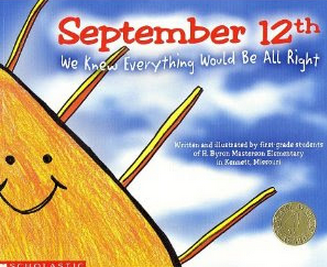 We began the morning by reading and discussing September 12th. A teacher at my school let me borrow this book and I love it so much. Rather than dwelling on the heavy realities and details of the day, it conveys a sense of hope in the aftermath of tragedy. And my students loved that it was written by a class of first graders. 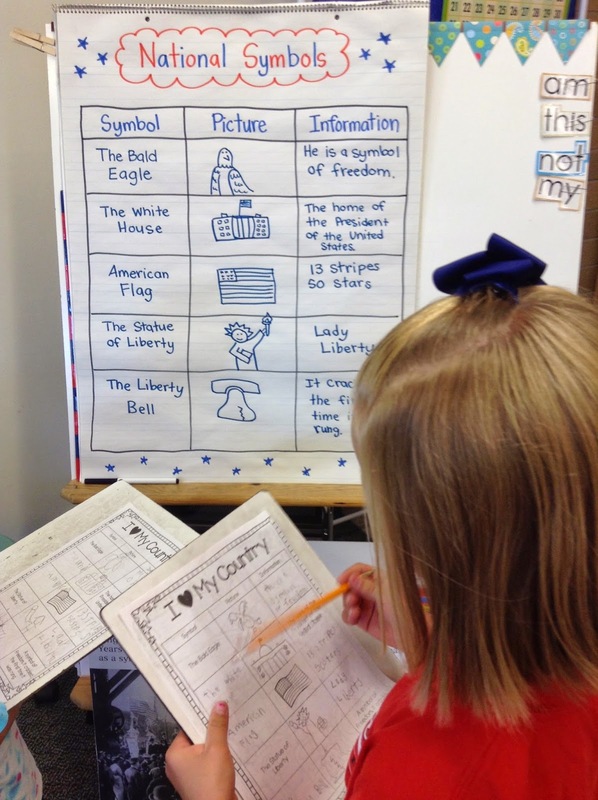 Next up, we learned about our National Symbols and completed the following chart together by looking through a variety of non-fiction books and brainstorming reasons for the assigned symbolism. Fast finishers were able to work on some of the cute pages from this awesome freebie by Seusstastic. My students loved discussing the heroes that they know from their own sweet little lives...so and so is a policeman, my neighbor down the street is a fireman, my grandpa used to be a soldier, etc. I loved listening to their little conversations and the pride they expressed. To wrap up the day we created our little American flags and wrote about our feelings about our great country. The day was filled with patriotic music and smiles. I'm so grateful to live in a country of freedom and hope for a better future.